some of you asked for this for a long time, but we were always reluctant to have a public monthly calendar till now. The reasons for our cautiousness are related to the fact that sometimes even if you have a strong plan, you might be forced to change it very fast for different reasons. 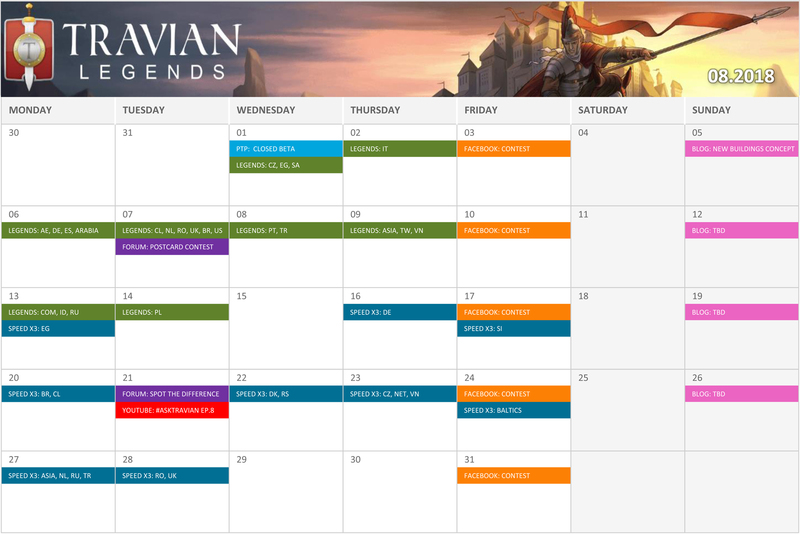 We have decided to risk it and decided to publish the first Monthly Calendar and see how things work. We hope you will enjoy this initiative. And please, do not hesitate to contact your Community Manager if you see something odd in the Calendar. We will do our best to have it as functional as possible. It's so funny, after just 30 minutes the calendar was posted our new Product Manager, Fabian informed us that the schedule would have change along the day, so here the first edit. We have added some server start for August, the image in the first post has been updated.